In their newfound enthusiasm for discovering the freedom and relief of getting everything out of their head, journeymen GTD® practitioners can fall into the trap of believing that small lists are inherently bad. Indeed, David Allen, creator of the Getting Things Done® methodology, often describes most people’s to-do lists as, “Incomplete lists of unclear stuff”. It’s true. Compared to the level of clarity and comprehensiveness we achieve by defining projects and next actions for all of one’s commitments, the humble to-do list can look rudimentary at best. On the other hand, working from the next action lists of a complete, trusted system directly can also feel a bit daunting sometimes. One key to making this approach work is to shift one’s mindset from the ‘to-do list mentality’ to the ‘menu’ mentality. I wrote a bit about this in a previous article. However, there are also some circumstances under which it can be helpful to pull out a subset of one’s master list of next actions to focus on just for that day. There are a few times in particular when this can be helpful. There are also some very important keys to make this work without slipping back into an “incomplete and un-clear” to-do list approach. So, when can it be good to re-write a much smaller ‘today’ list? The first situation where I have found this helpful is when I am facing a day of back-to-back meetings. With just a few discretionary minutes here and there, most people scan email for any ‘fires’ to put out. But when time continues to be at a premium for an extended period, how can you keep important projects moving forward that are not necessarily well-represented by email? Creating a very short, focused list of options to act upon during those brief windows of time between meetings can help you keep your head above water, and still make forward progress when faced with wave after wave of meetings. The second situation in which a daily sub-list can be useful is pretty much the opposite kind of day – one that is unstructured, and where you have to decide how to spend it well. For example, I find myself making short sub-lists on the weekend, so that I can put the right mix of chores and relaxation onto a small ‘this weekend’ menu of options. By contrast, for someone doing long-term research, completing a thesis, or otherwise needing to make progress in a highly open-ended and self-directed way over a much longer period of time, the ‘today’ list can be equally valuable. There are other circumstances under which drafting a short sub-list can help. Most notably, those just starting out with the GTD methodology often do this as a way to avoid the overwhelm of looking at their complete ‘menu’ whilst they are still making the mindset adjustment mentioned earlier. Also, for those of us dealing with an atypical neurological condition such as ADHD, fewer options may lead to greater focus overall. So, what are the keys to making this work? If you are going to create a sub-list from your master list of trusted next actions, there are a few important keys to bear in mind. The first is that you really want to make sure that the sub-list doesn’t ‘devolve’ into a list that will force you to re-think. Taking a good next action like “Call brother to discuss options for Mum’s party” and transcribing it onto a sub-list as just “Mum” clearly defeats the point of the good work you did earlier in identifying and recording a self-evident next action. You’re back to a momentary, “Huh?” moment when you look at this over-compressed single-word item. So, transcribe items onto your sub-list well enough that the next action remains instantly identifiable. Another big key to distilling a sub-list effectively is to spend the time you need at the start of the day (or the night before) to look through all the next actions in the relevant upcoming contexts in which you will find yourself, and then cross-reference these with your calendar entries. Ask yourself: where will you be, what will you have to hand, and what kind of windows of time are ahead of you that day? Make your selection of sub-list items based on those answers. Crucial to making this work is that you also ‘sync up’ the list with your master list of all possible next actions at the end of the day. If it is crossed off on the sub-list, it needs to be crossed off on the master list. Record the new next action where applicable on the master list. The sub-list should thus be totally expendable in the sense that, if it fell down a storm drain, you would not have lost anything essential because it is still all ‘backed up’ in your comprehensive trusted system. There is also a mindset shift required here too. Just as your list items can be downgraded by not transcribing the next action as a clear and self-evident entry on the sub-list, so too can you find your mindset shift slip backward into the ‘to-do list mentality’ if you are not careful. Remember: even this sub-list is just a guide to give you options. There are fewer options than the master list to help create focus, but they are still just options. To put a finer point on it: you are not a “good boy” or “good girl” for completing all the items on your short list any more than you are an unproductive person for not ticking off every item by the end of the day. It may well be that you focused on exactly the right things each moment of the day without striking through a single item on the sub-list. Simply having those short list options to hand can help you to validate that those choices you make which are not on the list are, indeed, correct – because you have consciously weighed them against that shortlist before acting. So, if you have ever needed permission to experiment with creating a daily sub-list out of your master list of next actions to help create focus from time to time, you now have it. If it helps you to feel more in control, relaxed, and focused on the right activities moment to moment, then it may become a useful part of your GTD practice. If not, wad it up, bin it, and get back to basics. Here’s wishing you all the right lists in your life, big and small, to free up your brain for much better things. Thank you Robert for this post. I am using a comprehensive GTD system but 1 year ago I realized that I need such an additional sub-list (I call it 1MTD according to Michael Linenberger), because my big system is too big for being multiple checked per day. First I was self-ashamed for using this shortlist – it felt like cheating on the main system. But after some time I saw that it worked well as a supplement, and now I also have the ‘official sub-list using license’, delivered by your Excellency. The only thing one has to be mindful about, is to not forget looking into the main system because the little system works so well in the day-to-day-mode (I have to confess that sometimes I fall off the wagon that way). Thank you again for your wise insights and keep on writing so interesting stuff! Great that this is working for you, Klaus. The daily “sync” is essential to making sure this remains a good GTD-friendly approach. Equally important is the weekly review. 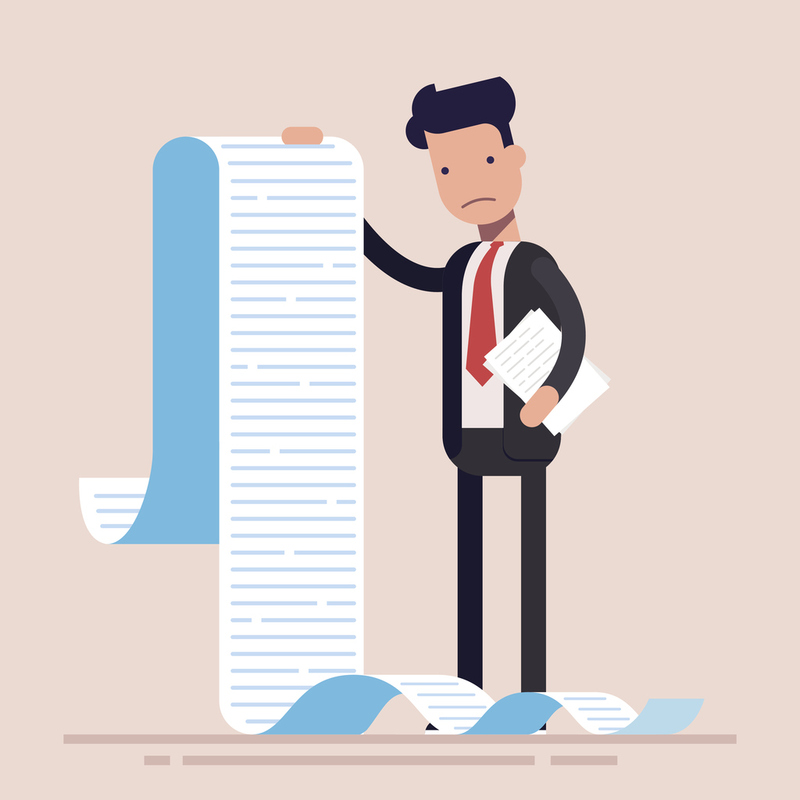 With those two habits in place, your “short list” will never deviate too far, causing you to “fragment” your commitments/options between your shortlist and your trusted system. This fragmentation invariably forces stuff back into your head (i.e. the wrong place if you want to get it done). I use this strategy almost every day by way of a half-sheet of U.S. paper divided into several areas (Schedule, In, @errands, @contacts, @ToDo). In a sense I’m re-doing what’s already in my master system, but it is so incredibly helpful and is like a little roadmap for my day. I’m able to concentrate better at my job because I’ve already distilled what is most important in terms of things to do and my schedule for the day. Great to hear that’s working for you, Anna. I’ve found as long as the subset list stays regularly in sync with the master list this can help some people really focus. I think it’s particularly helpful for those who like to take a few minutes to plan their options for the day. Sounds like that’s you, and it’s helping. Great stuff. Great article ! I use GTD + a Day List. My Day List is one page of A4 that I print out which already has at the top those activities I want to achieve daily e.g. “exercise”, “french study” etc… Then first thing in the morning (or the night before) I add tasks from my Diary that must be done. Then I add tasks from my Next Action list and my periodic tasks from my “tickler file” that I want to achieve. The day list is torn up at the end of the day – to avoid it becoming “THE List”. I look at my Next Action list as often as I need to – but I always examine it in the Weekly Review. Sounds like a great approach, Jonathan. I particularly like the part about physically tearing up the shortlist when done, so as to remind yourself it’s expendable, a set of options, and that the master list is the main list to keep current. I especially liked your comment that I’m not a “Good Boy” for doing everything on my short list. Sometimes I would beat myself up if I couldn’t even do the short list. Thank you for freeing me of that thinking. As you suggest, it’s just a list, and I remain free to just do something else if I choose. Absolutely! We get trained into these mindsets young. But a list is just a tool for orientation and action. Glad that resonated. Bit late to the party here but this is a really great article. From (a) experience, and (b) trying to diagnose the issues I have had since reading GTD back in 2014, it seems like this is an almost universal issue, and your approach appears to be an elegant solution. 1) You suggest that the ‘sub-list’ is a useful tool when either (a) your day is fragmented with lots of appointments, and time that would otherwise be spent reviewing task lists for action options is in short supply, or (b) there is a lot of ‘white space’ in the calendar, and it can seem overwhelming looking at the giant list of options. The amateur philosopher in me surmises that a lot of the symptoms of ADHD often come from having attention to fragmented, as is the case here. A quick scan at the start/end of the day, and listing (or flagging/tagging in a digital system) the 3-5 actions you want to ensure get your attention in the next 24 hours can go a long way to overcoming this. One logical implication from your assessment is that on virtually any schedule, a nice little sub-list can tie up the loose end that a lot of people find in the GTD approach – the doing (the 4-criteria model has always felt like a fantasy to me). 2) I love your analogy of the menu. One point though – when I sit down at my beloved US diners, I always find it ridiculous the sheer amount of choice presented to customers. Barry Schwartz’s book ‘The Paradox of Choice’ points out that often consumers are, ironically, less satisfied when facing a greater range of potential options. By way of counter-example, here in Dubai, michelin-star restaurants are in abundance. When you sit down to a short ‘sub-list’ of options curated by culinary experts, it is rare that one walks away dissatisfied. Parallels here to the weekly review, and curating next actions lists? Keep up the good work – I’m a fan and will be in touch later in the year pending re-location back to the UK! Glad you found this useful, Thomas. I don’t know enough about ADHD as a diagnosed condition, but I certainly find it helpful for me to create focus as needed by curating lists. And I agree about the comfort and satisfaction that comes from curated choices, as long as you trust the curator (e.g. based on their reputation as a great chef). Decision fatigue is real. Being able to delegate it away confidently is a great feeling. However, in my experience I am the only one that can really curate my own options to set priorities about everything I have committed to do. There’s no-one else I can really trust about that across all aspects of my life. Having a comprehensive list of the “state of play” of all my commitments is the only way that I have found to do that with any sense of context. The alternative of reviewing “almost everything” invariable leaves a nagging sense of “I hope I haven’t missed something”. I think it is actually very similar to the experience of ordering a dish and regretting not ordering something else due to an excess of choice or lack of information. So, in the end, minimising the brief stress of reviewing everything via a weekly review so as to work from lists that I know represent my best options day-to-day strikes that balance for me between the sharpness of clear focus and the confidence of full scope.